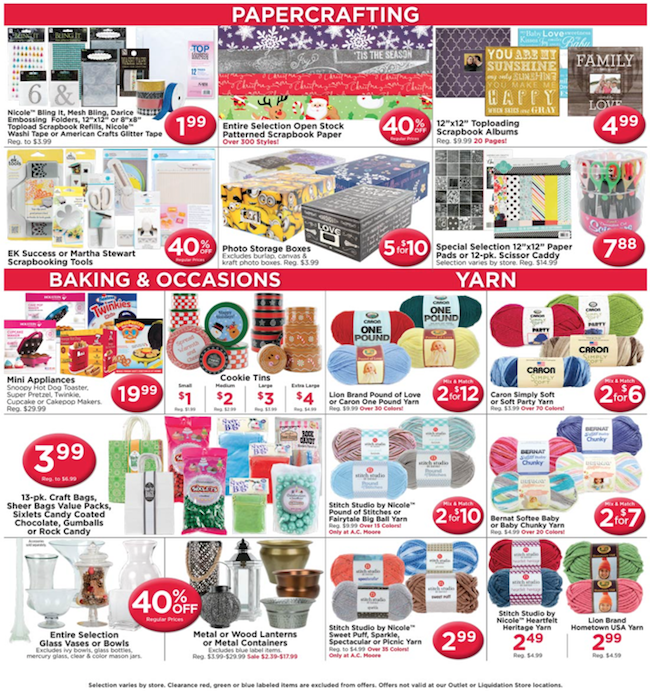 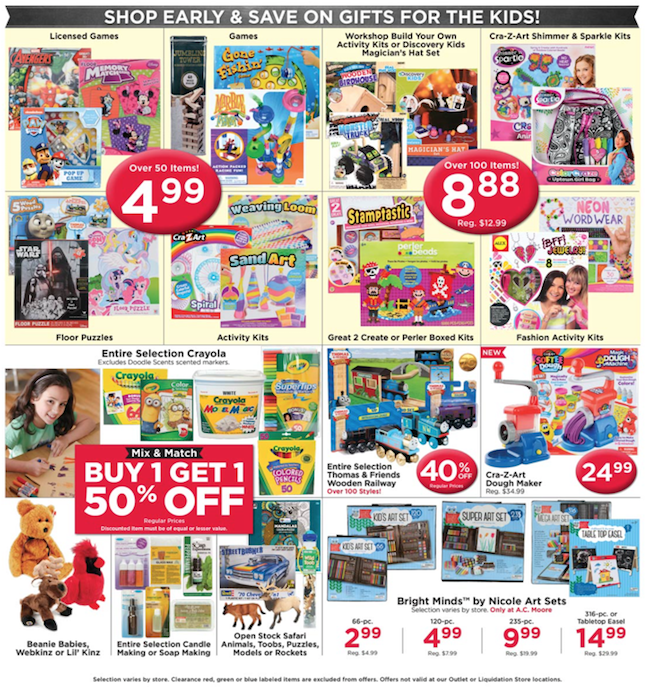 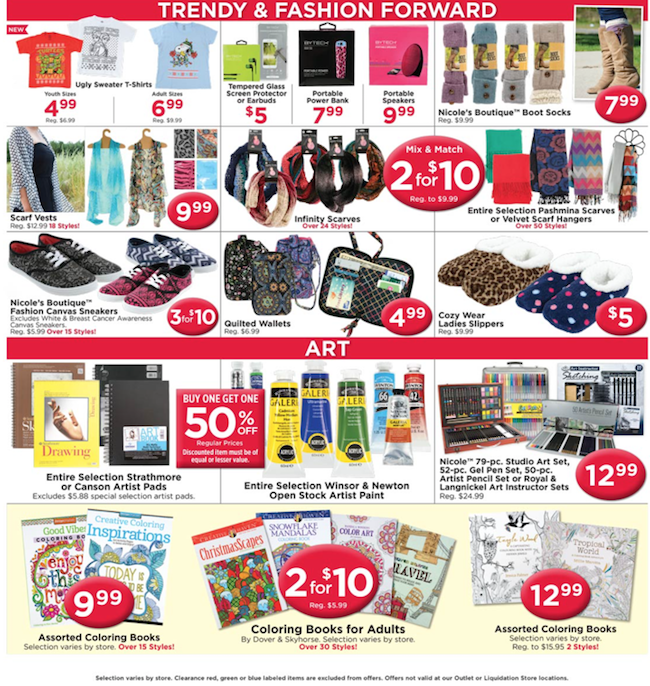 AC Moore Weekly ad for this week! 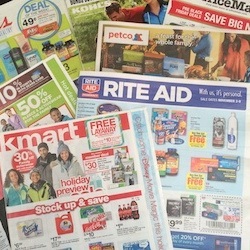 The ad is valid through November 7, 2015. 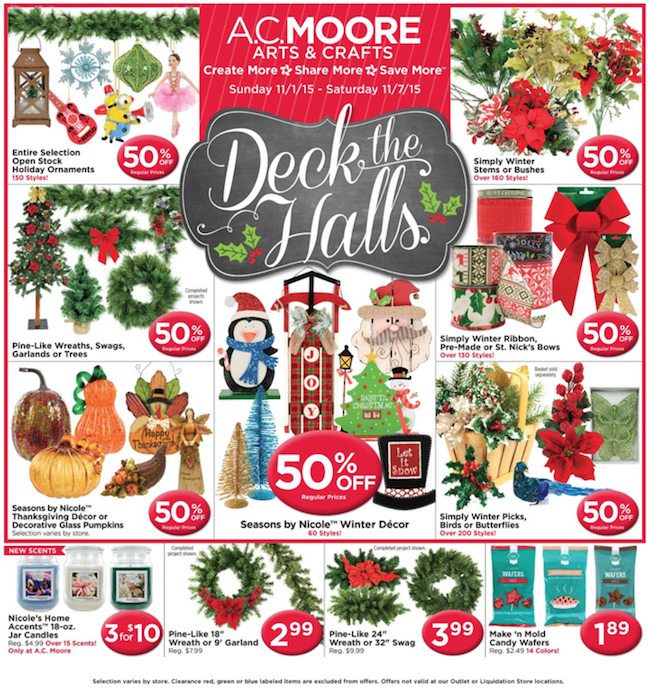 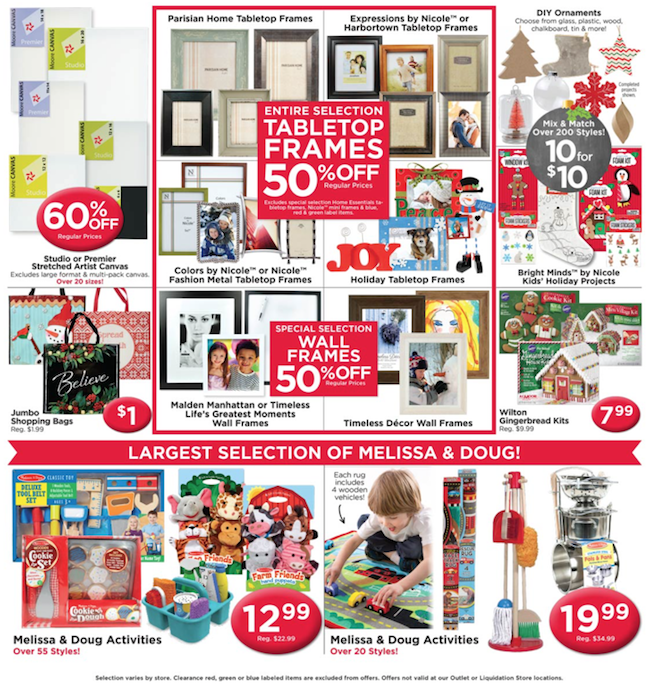 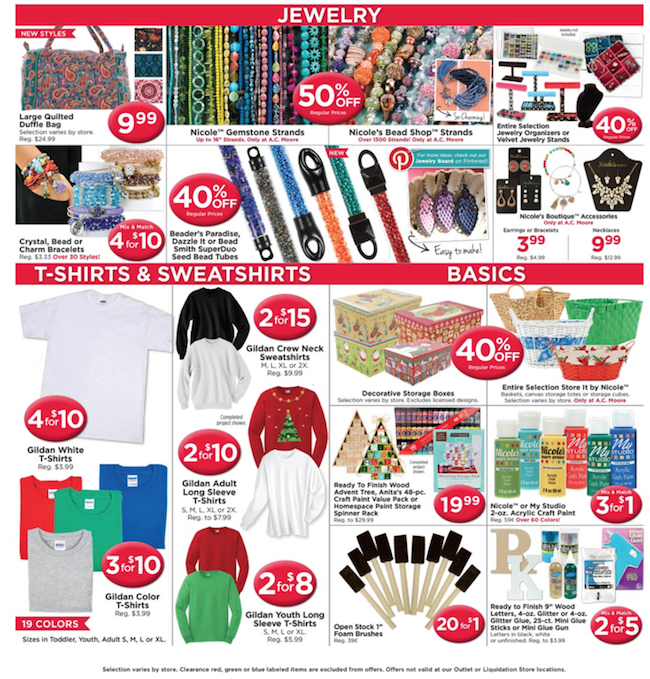 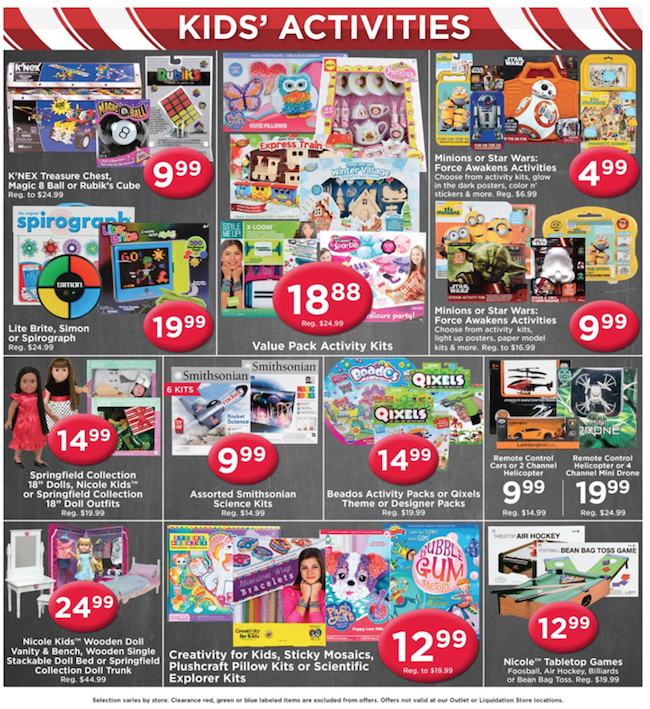 In this AC Moore ad they highlight an Deck the Halls sale on Christmas decor! 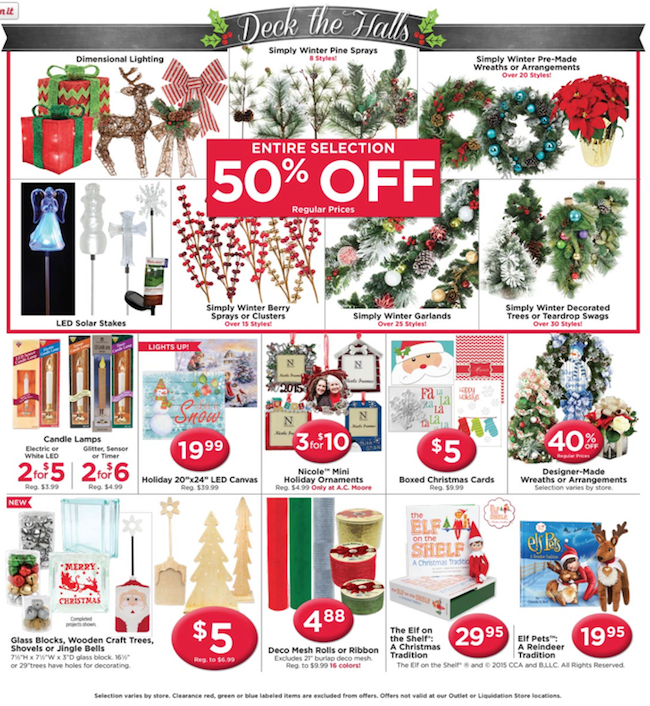 They also have tons of coupons in this ad. 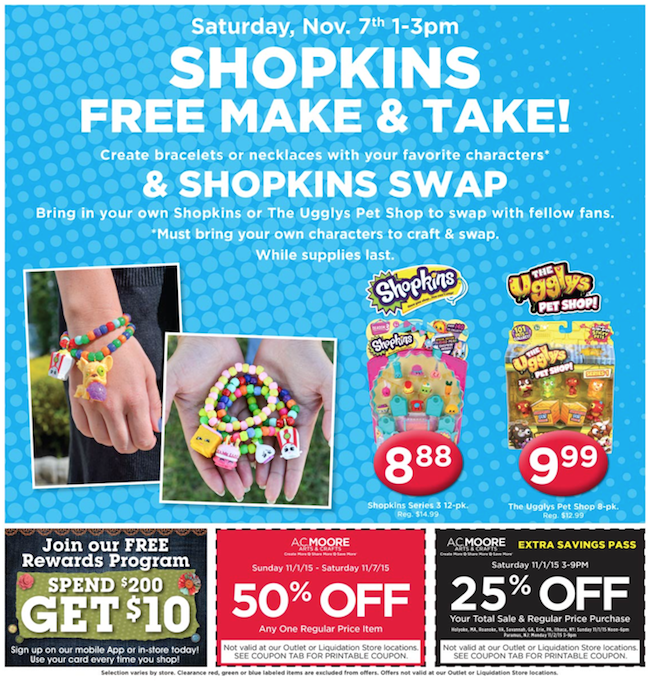 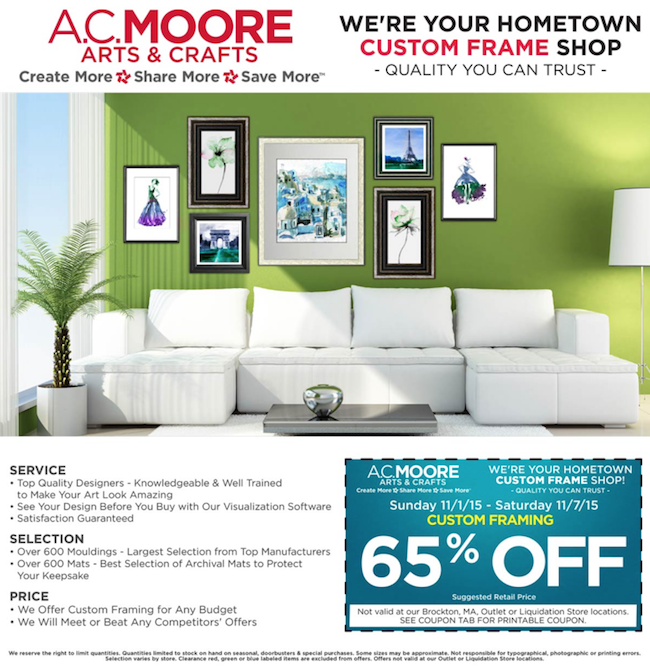 AC Moore is an arts & crafts store with a great rewards program, so make sure you sign up before going shopping!